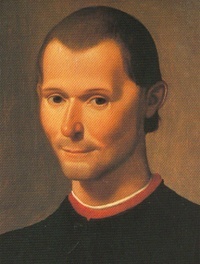 Niccolò Machiavelli died on this day. This day usually marks the summer solstice in the northern hemisphere and the winter solstice in the southern hemisphere, and thus is the day of the year with the longest hours of daylight in the northern hemisphere and the shortest in the southern hemisphere. 1973 - United States censorship: The Miller case rules that obscenity is not protected by the First Amendment. Unless indicated otherwise, the text in this article is either based on Wikipedia article "June 21" or another language Wikipedia page thereof used under the terms of the GNU Free Documentation License; or on original research by Jahsonic and friends. See Art and Popular Culture's copyright notice. This page was last modified 20:17, 20 June 2018.